Here in KC, we are just now experiencing some warmer weather. When I shot this look, it was a frigid 60 degree spring day. 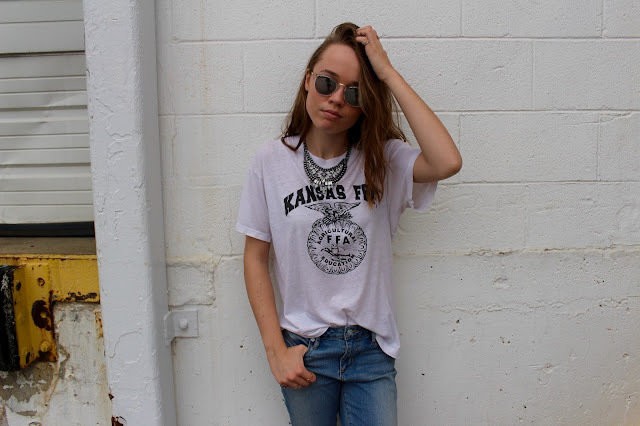 One of my go-to looks is my favorite vintage tee and some high-waisted light wash jeans. I snagged these slides (that I CANNOT stop wearing) at Target - they match every outfit I pick out. 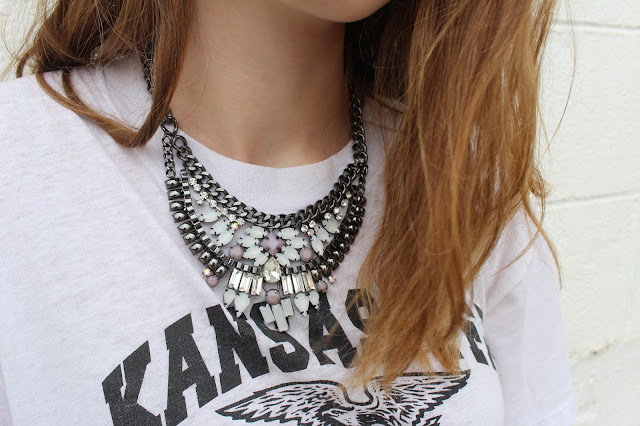 I also decided on wearing a necklace from Forever 21; it adds the perfect "edgy" aspect to the look. I am glad the weather is starting to get warmer. I absolutely love this look. That shirt is so cute! 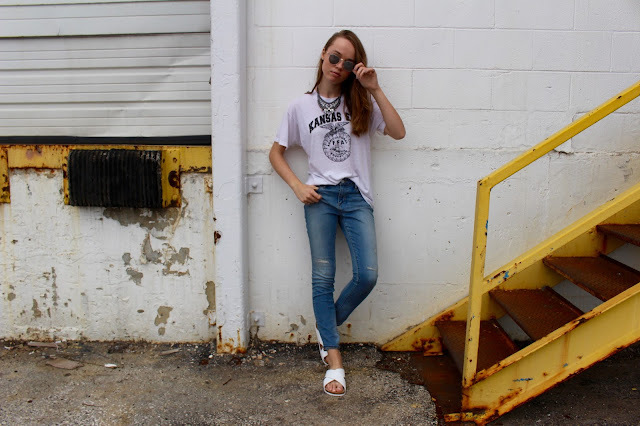 Great casual vibe! And that necklace looks great over the shirt. I love that slogan t-shirt. Those are some really nice slides. Target has some hidden gems. And that t-shirt is great-- you pull off edge really well. Your shoes are so cool! Pozdrawiam serdecznie i zapraszam do odwiedzenia mojej strony!